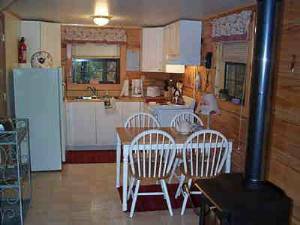 LOG CABIN MOUNTAIN LIVING is now much better and more affordable! 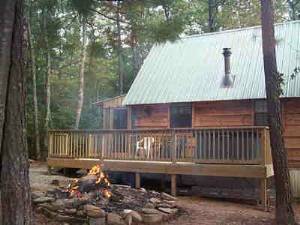 Enjoy the comfort of this cozy log cabin with your own private balcony, outdoor hot tub, wood burning stove, fully-equipped kitchen, picnic facilities, linens and more at this affordable retreat starting at only $79 per night. See mountain-rental[dot]com for details and to inquire. Cupids Cove is fully-furnished and ideal for a honeymoon getaway or your next anniversary. 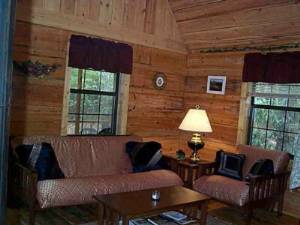 Located in the heart of the Cherokee National Forest, you are surrounded by wildlife, waterfalls, hiking trails, scenic drives, history museums and much more. 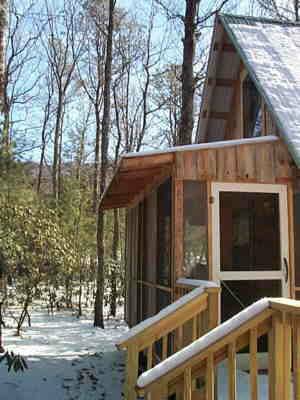 This log cabin can sleep two guests comfortably, and there is a fold-out futon sofa for two more. 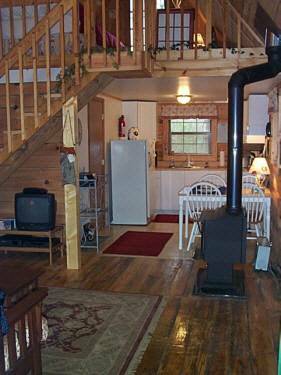 Log cabin, historic coker creek, loft bedroom, romantic honeymoon getaway, outdoor fun, cozy, fully-furnished, AC, heat, wood-burning stove, phone, hot tub, queen-sized bed, futon sofa, kitchen, dining area, balcony, washer & dryer, well water, outdoor fire pit, BBQ grill, picnic table, screened porch, free parking, private, national forest. 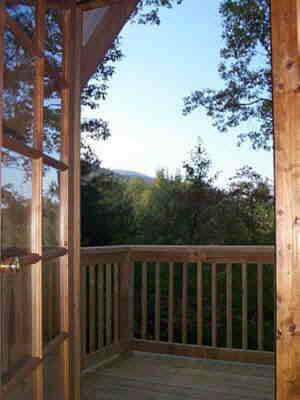 Cupid's Cove is located across the valley from the Unicoi Mountain Range at the border of North Carolina. Se mountain-rental[dot]com for details. Activities include scenic drives, horseback riding, hiking, fishing, swimming, trail biking, whitewater rafting and the Autumn Gold Festival in October. 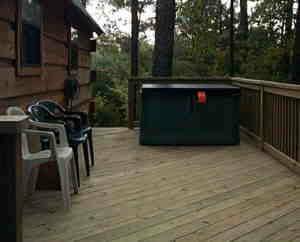 private setting, screened porch, picnic area. Activities include scenic drives, horseback riding, hiking, fishing, swimming, trail biking, whitewater rafting and the Autumn Gold Festival in October. See mountain-rental[dot]com for details. This was such a treat! What a charming place! Everyone here was so friendly and helpful. I can't wait until we can come here again. - Tom & Shekila, Panama City, FL. Off-Season (Jan-May, exc. 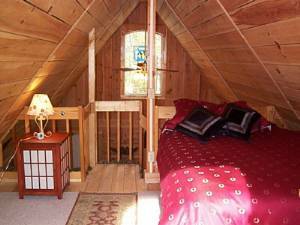 Peak dates) $79/night Regular Season (June-Dec, exc. Peak) $89/night Peak Season Dates (See below) $109/night PEAK SEASON DATES include the month of October, summer weekends, and the days surrounding and including most holidays: Valentines Day, Easter, Memorial Day, July 4th, Labor Day, Thanksgiving, Christmas and New Years. Rates quoted are for up to 4 guests (max. occupancy). Online Booking available at ...com. Deposit: Full payment due 30 days prior to check-in or payment online by credit card. Cancellations and Refunds: No refunds for cancellations within 30 days unless cabin can be rebooked. See ...com for details. Other Fees: $50 cleaning fee required for stays of less than 6 nights. $75 pet fee for 1 or 2 small pets (up to 35 pounds) Minimum stay, 2 nights. Rental period during peak times is one week, but shorter stays welcomed and accepted within 30 days of arrival date.